The essence of software architecture. 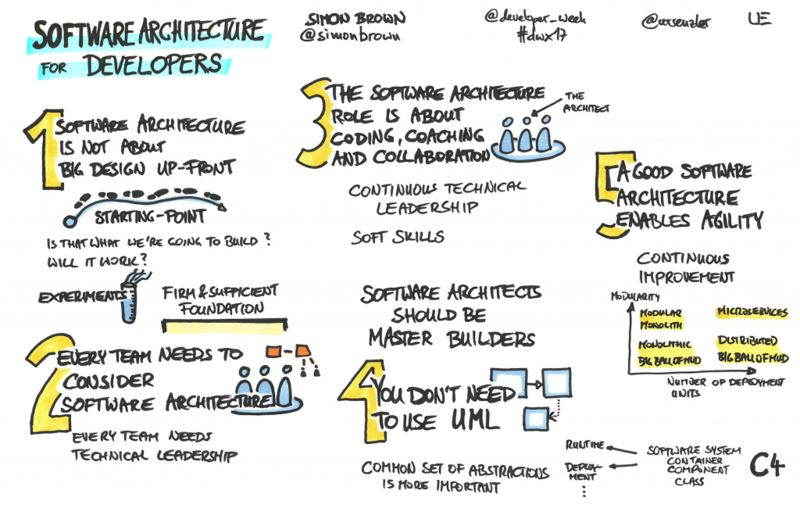 Why the software architecture role should include coding, coaching and collaboration. The things that you really need to think about before coding. How to visualise your software architecture using the C4 model. A lightweight approach to documenting your software. Why there is no conflict between agile and architecture. What "just enough" up front design means. How to identify risks with risk-storming. Back in 2010, I wrote an article titled Are You a Software Architect?, which looked at the difference and transition between being a software developer and being a software architect. Although the industry has moved on in many ways during the past 8 years, it seems that software development teams are still struggling with some of the basics, especially those aspects related to software architecture. These are arguably more important than ever before, given the distributed nature of the software systems we’re now building, and the distributed nature of the teams building them. As a short introduction to the topic and to debunk some myths, here are five things that every software developer should know about software architecture. 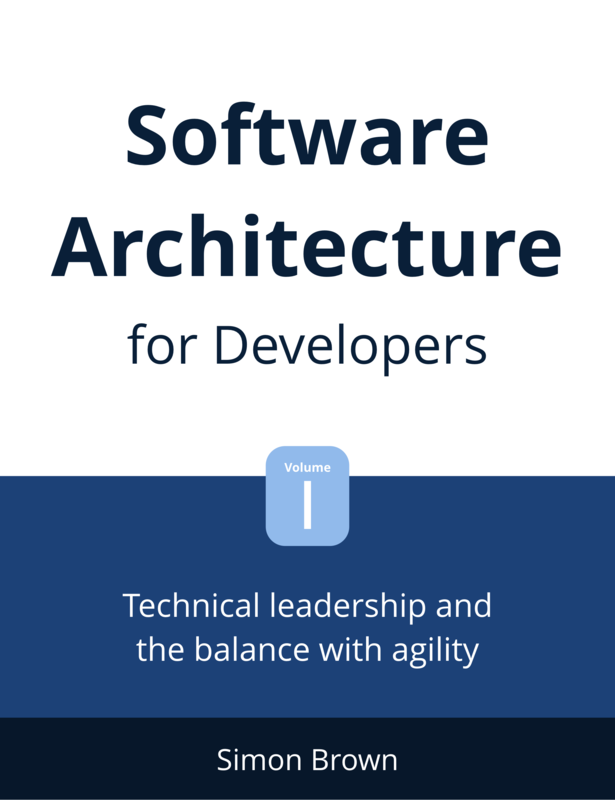 A developer-friendly, practical and pragmatic guide to lightweight software architecture, technical leadership and the balance with agility. 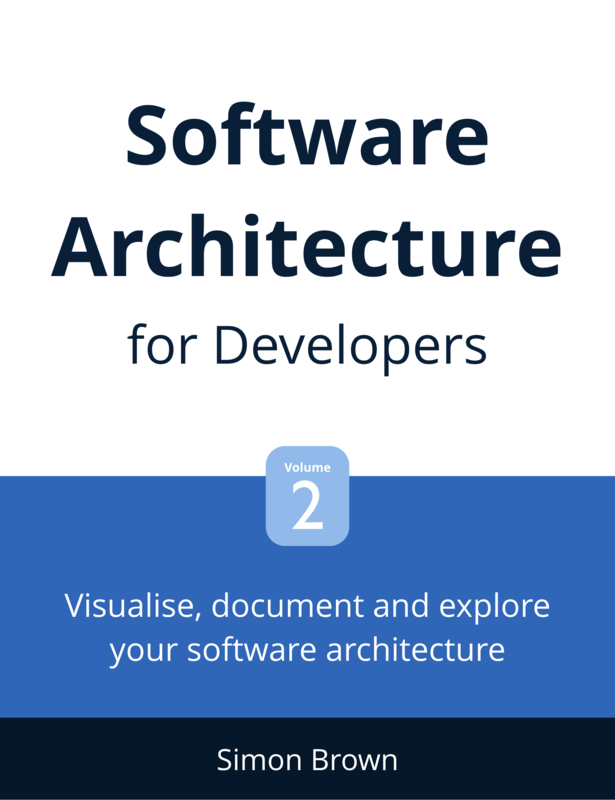 This book is a practical, pragmatic and lightweight guide to software architecture, specifically aimed at developers, and focussed around the software architecture role and process. A short guide to visualising, documenting and exploring your software architecture. This book focusses on the visual communication and documentation of software architecture, based upon a collection of ideas and techniques that thousands of people across the world have found useful. The core of this is my C4 software architecture model and the software guidebook. You'll also find discussion about notation, the various uses for diagrams, the value of creating a model and tooling. 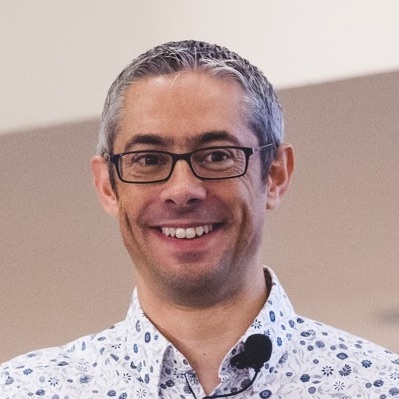 I run a 2-day software architecture training course at organisations across the globe, the content of which is based upon my Software Architecture for Developers books. The agenda is as follows. Does the solution satisfy the architectural drivers? Do you understand the diagrams? How much up front design is enough? This 2-day workshop will give you an introduction to a pragmatic and practical approach to software architecture; including technical leadership, communication and how to balance up front design with agile approaches. Software developers and architects; all levels of experience. Some experience building software; no laptops needed. The exact timings are flexible, but most courses are typically 09:00-17:00, with a 20-30 minute coffee break mid-morning and mid-afternoon, plus an hour for lunch. The slides and handouts are available to download. The pricing model is "per day" rather than "per attendee", based upon my availability and travel. The class size is flexible; although I recommend between 10 and 20 people. From a logistics point of view, all I need is a room with a projector and some whiteboards/flip chart paper. I occasionally run public workshops at training providers or conferences but most are private, on-site workshops held directly with organisations. Please e-mail me for more details and pricing.